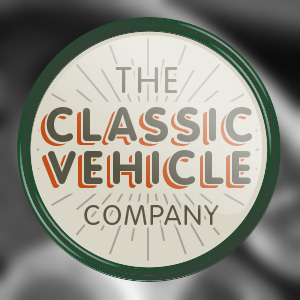 The Classic Vehicle Company came to SBM to get a retrospective logo [view] on their identity. Most new companies want to move forward, be cutting edge and modern – but not all of them do! Working with mainly British cars and motorcycles the company was looking for a little bit of nostalgia. Our research took us back through the ages and whilst we came up with a logo that could easily be used for the period, it had a modern twist to it using rounded fonts with an ‘enamelled badge’ look whilst using retro colours to help it age. They liked the logo, lots – soon afterwards we got the opportunity to help them with a photo shoot of one of their restored classic’s, a 1967 Sunbeam Alpine painted in Mediterranean Blue. We also finished the set with creating stationery that they could utilise for any correspondence and business cards to enable customers to find them.